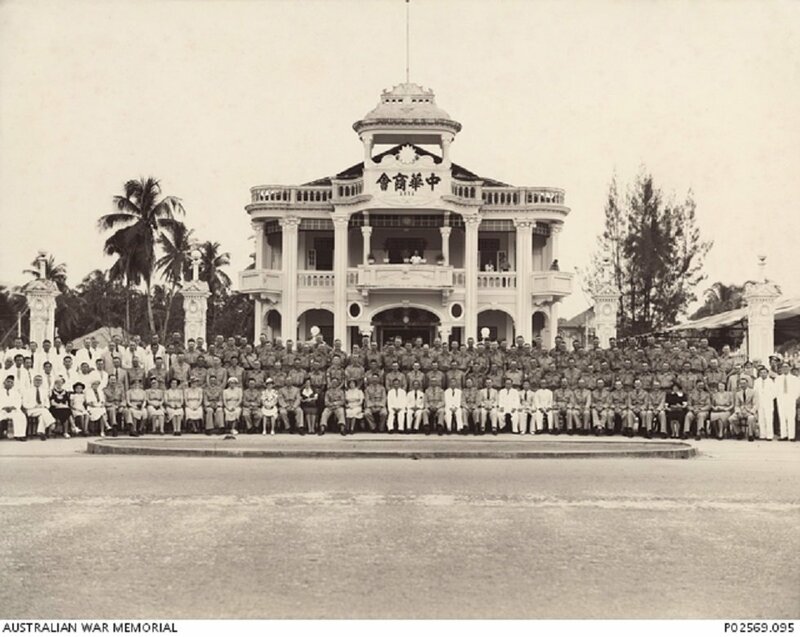 Group portrait of officers and non-commissioned officers of the 2/30th Battalion, and Chinese businessmen and their wives (who were their dinner hosts), outside the Chinese Chamber of Commerce in Batu Pahat (in Johor, present-day Malaysia). This was taken by Mah Lee, a Japanese spy posing as a Chinese photographer, and the photograph was used by the Japanese to execute a large number of Chinese businessmen after the fall of Singapore. During the Japanese Occupation, Mah Lee wore the uniform of a Captain in the Japanese Imperial Army and acted as an interpreter. Image taken 1941, courtesy of Australian War Memorial. The defendant, Sergeant Iida Kiyoji, was the Chief of the General Affairs Branch of the Civil Administration of the Andaman Islands during the Japanese Occupation. 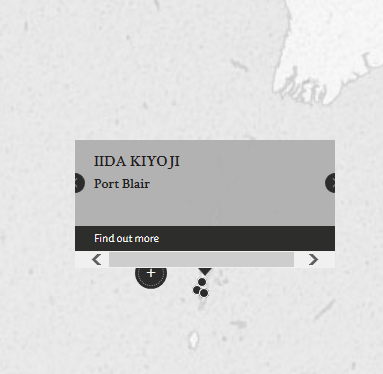 Iida, who served as an interpreter for his superiors, was accused of being involved in the torture and maltreatment of civilian residents of Port Blair detained during the Second Spy Case, where forty-four civilians were executed on suspicion of espionage. Eleven other civilians were imprisoned, and as many as twelve died as a result of torture. Such torture included, inter alia, pulverizing of civilians, water torture and subjecting civilians to cigarette burns. Iida had a history of psychiatric illness (manic depressive insanity), which was prevalent throughout the trial. On the second day, the defence counsel claimed that Iida was acting abnormally, and requested an adjournment for mental observation. A psychiatrist was eventually brought in to ascertain that Iida was fit to stand trial. Iida had also appeared to be problematic throughout the trial. Iida was evasive, incoherent and hesitant in his answers, especially during his cross-examination. Iida also requested for an adjournment during the trial as he wanted to sleep, claiming that he had insufficient rest the night before. Iida, Kiyoji. Sergeant. From Japanese military. From Japan. Guilty. 10 years imprisonment. Sentence confirmed. Houseman, J. W. Major. From British military. Khan, T. A. Captain. From British Indian Army. LLB Advocate in India. Takesuke, Komori. Lieutenant Commander. Judge Advocate, Japan. Mcmath, J. Major. From British military.